“Fake news” is a newish term that’s in circulation today. Fake news is a type of journalism that consists of deliberate misinformation or hoaxes. Fake news is written and published with the intent to mislead in order to gain financially or politically. Often with sensationalist, exaggerated, or patently false statements. Many people think that the gospel about Jesus is fake news. Those who believe the gospel are considered at best naïve, or at worst: extremists. The gospel about Jesus is considered to be a fabrication intended to deceive. Are Christians propagators of fake news? The New Testament book of 2 Thessalonians says, “no”. At the heart of the Gospel is a huge dilemma that may seem insurmountable, a major quandary that could appear insoluble, and it is this: How can a righteous God declare the guilty innocent? Continue reading Is God immoral? Posted on Nov 15, 2015 Nov 15, 2015 Categories GospelTags Gospel, John Stott, Justification by faith, Righteousness, Victor Kuligin1 Comment on Is God immoral? In the Matrix movies the inscription over the Oracle’s door is, “Temet Nosce”, which is Latin for “KNOW YOURSELF”. This is a fundamental truth just as important as knowing God. 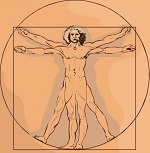 Have you thought about this basic question: What is a human being? Who are you? In other words, you choose which story about God you prefer. Do you prefer the Bible, the Koran, the Bhagavad-Gita or the latest book on spirituality at Exclusive books? The ending is the same, you simply need to choose the story.